Nathaniel Khaliq addresses a crowd protesting the death of Philando Castile at the Governor's Mansion on July 7. Photo courtesy of Minnesota Spokesman-Recorder. 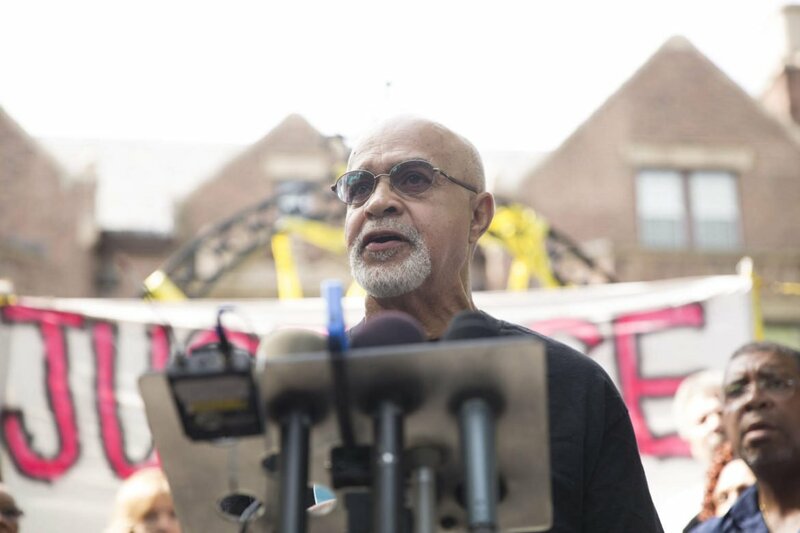 Nathaniel A. Khaliq’s, a St. Paul native, has fought on the frontlines for civil rights longer than many of us have been alive with a sense of unstinting commitment to the community. Khaliq has served as president of the Board of Directors of the St. Paul NAACP and the Islamic Center Masjid An Nur. He is a trusted liaison between the grass roots and mainstream as well as served on search committees for the police chief and fire chief of St. Paul. He’s accepted numerous appointments from the mayor of the City of St. Paul and the governor of the State of Minnesota. Most importantly, Khaliq was involved in initiatives to improve opportunities for housing, economic development and criminal justice for African Americans. Read the full interview between Nathaniel A. Khaliq and Dwight Hobbes at Minnesota Spokeman-Recorder. Two key Minneapolis City Council committees will hold a joint meeting Wednesday, March 22 to consider a proposed ordinance that expands important civil rights protections for thousands of low-income renters. The proposed ordinance prohibits discrimination against tenants with a rental subsidy, such as Section 8 Housing Choice Vouchers. Unfortunately, “We don’t take Section 8” has for decades been code for discrimination based on race or disability, contributing to housing segregation and limiting opportunities for low-income families. Find out more about the proposal and what it could mean for Section 8 renters at MinnPost. As part of an on-going campaign to stop the privatization of Medicare and Social Security, union and Working America members delivered petitions signed by several hundred Minnesotans to the St. Paul office of Sen. Al Franken Monday. Find out more about the Working America’s effort to prevent the privatization of Medicare and Social Security at Workday Minnesota.